This incredible event takes place on every....erm....Boxing Day !! Which, this year, is on 26 December....and every other year !! What better way to clear your head after a Christmas of over indulgence than to run in to the North Sea and raise money for causes close to you ?? We made some changes in 2017 which we are continuing with, mainly the starting point and parade route. Registrations and bookings will this year take place at The Marine Hotel, The Front, Seaton. We do however, advise everyone to try to register online in advance to the day as this will speed things up on the day. Advance registrations can be made below. There will also be a new Parade Route, but don't worry about that just follow the person in front of you. The Marine Hotel will be open from 10am and serving breakfast buns and hot drinks for Dippers and spectators wishing to meet up with family and friends early. We will be taking further registrations and booking people in from 10am to 11.25am. The parade will leave the Hotel at 11.30am prompt and will be lead by Hartlepool Round Table Chairman, Paul Thompson. After the dip, the Marine Hotel are providing us with 6 rooms (3 male and 3 female) for people wishing to dry off and get changed. You will be directed to these once you leave the sea. Then its time for a beer and to catch up with friends, knowing that you have just done something really great (and a bit silly) for a good cause. 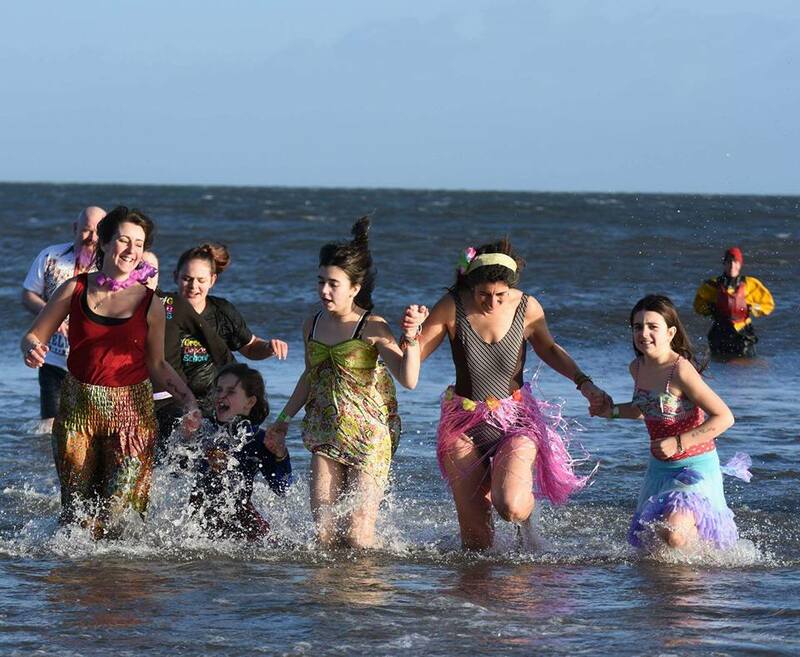 Many thousands of pounds are raised for good causes via the Boxing Day Dip. Here is a sponsor form template for you to use if you are raising for a cause close to you. This years Parade will commence from the Car Park of the Marine Hotel, turn left (ie head North), cross the main road (The Front) at the junction with Station Lane and then use the slipway ramp to access the beach. Dippers will then be encouraged to run towards the sea. A map of this route and best viewing spots will appear very soon. Please note - Under advice from Hartlepool RNLI and Hartlepool Coastguard, spectators on the beach will be encouraged to stay behind an area which will be taped out. For your own safety and that of the Dippers heading in and out of the sea, please follow this advice.